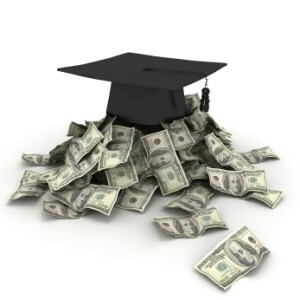 Home › FAQ › What is a Pell Grant? A Pell grant is a type of federal student aid that is based on financial need. Unlike student loans, Pell grants do not need to be paid back, making them a good source of education funding for lower income families. Formerly known as the Basic Educational Opportunity Grant, this opportunity helps to fund the educations of about 5.4 million students each year. Read on to learn more about eligibility, application process, and other key information about the federal Pell grant program. How Much Funding Does a Pell Grant Provide? The maximum Pell grant award is $5,730 for the 2014 and 2015 school year. The amount you actually will receive for the year depends on several factors, including financial need, how much your college or university costs to attend, whether you’re a full or part time student, and how many classes you plan to take each semester. You may receive Pell grants for up to 12 consecutive semesters of education, provided that you remain eligible. You must reapply for this funding each year. In general, Pell grants are available to students who are pursuing undergraduate education for the first time (those who do not already have a bachelor’s degree). Some students attending vocational (career-based) programs may also be eligible for this type of funding. You must be attending a participating institution; 4,500 colleges and universities in the United States participate in the Pell grant program. You also must demonstrate financial need based on the information you submit in the FAFSA (Free Application for Federal Student Aid). Eligible students are either U.S. citizens or eligible non-citizens who have a high school diploma or GED. Male students between the ages of 18 and 25 must be registered for Selective Service to be eligible. Students must not currently owe any money to a federal student aid program, and are not eligible if they have a prior drug conviction or receive such a conviction during the period of undergraduate education. Continued funding requires maintaining satisfactory academic performance. How Does One Apply For a Pell Grant? Each year, you must fill out the FAFSA form to be eligible for all forms of federal aid. Based on this information, you’ll be assigned a financial aid package that typically includes a combination of student loans, grants, and work study. Your financial need will be evaluated based on an expected financial contribution (EFC); this formula takes into account your income, the income and assets of your parents, the number of people living in your household, and how many of those household members are currently attending college or university. To learn more about the FAFSA or fill out the form online, at the official federal government website. Your financial aid office can help guide you through the process of completing the FAFSA, including deadlines and requirements. Visit the US Department of Education website for more information information about the Pell grant program.